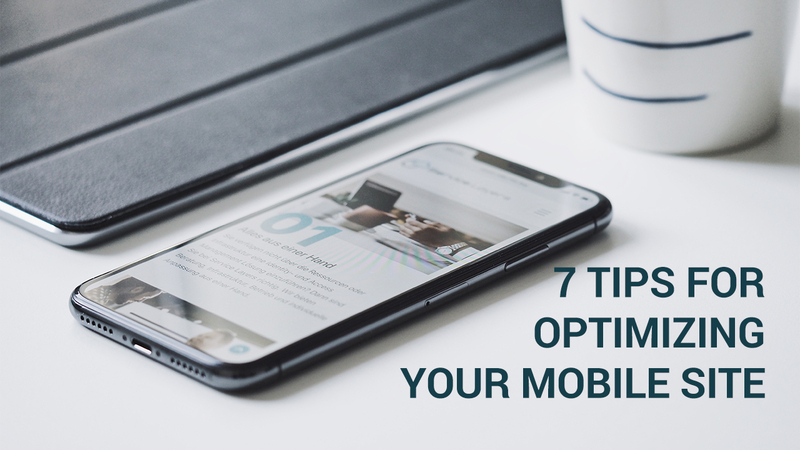 Searches performed on mobile devices have been overtaking those from desktops for a few years now, but some businesses still haven’t optimized their websites for smartphones. Does your enterprise fall into this camp? If so, a site that just doesn’t work on mobiles could chase visitors away to competitors and cost you customers. So, what can you to do optimize your site for mobile devices? Load times are a key part of your visitors’ browsing experience. Pages overloaded with images, videos and text will take longer to display on smartphones. Compress images to keep them at a more manageable size, and reduce the number of videos or GIFs that display on your mobile site. Bounce rates for pages loading in one to three seconds is 32 percent. This jumps by 90 percent for one to five seconds, so take load times seriously. Browsing on mobile devices allows for less precision than on a computer. You don’t have your mouse or a cursor: you have to tap with your finger. That means your buttons and links have to be placed carefully. Keep them large and easy to spot. Don’t cluster them together either, as visitors could keep clicking on the wrong ones by accident. This is crucial when adding CTAs. Mobile browsing is best when it’s fast and intuitive. Keep the amount of content displayed on your mobile site to a minimum. Don’t bombard visitors with endless blocks of text. This reduces the amount of scrolling required and cultivates a more streamlined browsing experience.. Provide prospective and existing customers with all the information they need, but in a digestible way. Keep it punchy and direct. The faster visitors can find the answers they’re looking for, the more satisfied they’re likely to be. Lots of white space is good for your mobile website. It ensures space around buttons and links, for extra accuracy when taking actions. Even better, it makes images and videos stand out when scrolling. Keeping your mobile site streamlined and simple is vital, but preventing it looking barren can be a delicate balancing act. Reducing unnecessary content and clutter contributes to faster load times too, which has its own benefits (as we discussed earlier). Nett Solutions’ Orange County digital marketing experts can optimize your mobile site to give customers a smoother, better browsing experience. How? Just get in touch to find out! Each new year brings fresh SEO trends every business should embrace to stay on top of their marketing game. 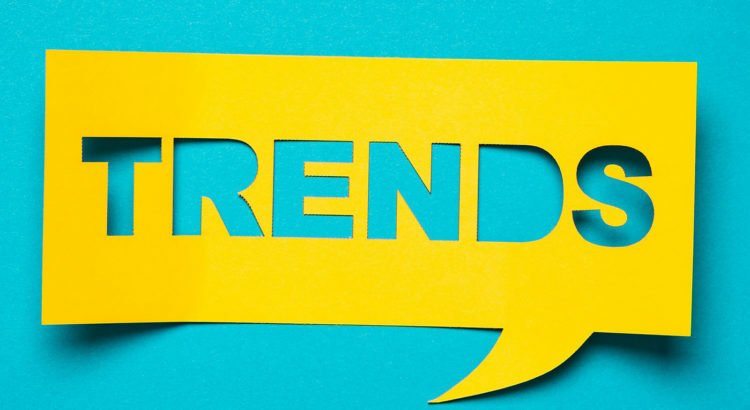 2019 is on the doorstep, and we’re excited to see what it has in store for the wonderful world of SEO — so we’ve decided to explore the biggest trends you have to know about! No one likes staring at a half-loaded page, waiting for content to appear. It’s infuriating, especially when you need answers in a hurry. Keeping load times as short as possible is important — and this will only become even truer in 2019, as more of us depend on mobile searches. There’s still some way to go, though: the average mobile page-load time is 15.3 seconds. The more time your pages take to load, the more likely visitors are to click away. Speed is now a ranking signal for mobile searches, so businesses have to focus on this to keep Google on side. Long-form content will be in vogue during 2019. You’ll need to give visitors content offering value, with useful or eye-opening information to take away from it. Long-form content helps to keep readers on your site for more time too, opening up additional opportunities to hook them. Use content to build relationships with potential and existing customers, and try to make your headlines as irresistible as possible. Social media will still be a vital channel between customers and brands in 2019. Chatting on Facebook and Twitter is much faster and more convenient than calling a helpline. People can access direct support while they communicate with friends on their social networks, without having to use a different channel. It’s also easy for your business to target prospects sharing interests and activities with your existing customers through advertising. It’s essential to stay active on social media too: show your followers you care enough to respond quickly and share content they’re likely to enjoy. Voice search has made finding the information you want faster and easier than ever. You don’t need to type anymore — you just speak and Google does the rest! In 2019, this will keep becoming more popular, and you’ll have to keep that in mind when coming up with keywords. Long-tail terms are helpful, as is an overall conversational tone that reflects the way in which people speak. Adding FAQs to your site is a big help when targeting voice searchers too, so try to match the exact phrases people are likely to use. At Nett Solutions, our Orange County digital marketing experts are here to help you in 2019! We’ll create an effective SEO campaign tailored to your business and audience, so what are you waiting for? Just get in touch now! Put yourself in potential customers’ shoes: if you landed on a website looking for a specific product or service, would you be impressed if there were no images? Would you feel this was a dynamic brand that cared about engaging buyers? It’s unlikely one page after another consisting of blocks of text would win you over. Images are essential to convey information that complements your copy: you need to show off your products / services, introduce your team (even if just a few members) and, ultimately, make your website exciting to look at. Images can make a big difference to your SEO campaign, and in this post, we look at 5 essential tips you need to know. Stock images definitely have their place. Quality stock pictures can fill a gap and still add a professional touch to your site, but use them sparingly. Users will recognize stock images when they appear on countless sites, and if they see them on yours, they may feel it makes you a little less credible. Use original pictures as much as you can to be authentic, and ensure they’re of a high quality. Slick, polished images help you stand out in search results and make your site unique. Too much visual content can affect your site’s performance, causing pages to load slower than they should. JPEG images are typically best for maintaining decent load times, and cope well with compression, allowing images to load faster without too much of a drop in quality. PNG images are of a higher quality but too many can strain your load times. Consider using PNG files for your most crucial images and JPEGs for the rest. Captions are a useful addition to your images. This is a brief line or two of text that explains the picture’s purpose, allowing readers to understand what they’re seeing straight away. Captions can help search engines identify how relevant your images are to users. Like captions, descriptive file names with quality keywords let search engines know the image’s content. It has to put the picture in context and boost your chances of being discovered by a user. If a prospect runs an image search, a descriptive title can get your website put on clear display, hopefully driving more traffic your way. Images in your page backgrounds and / or borders may add satisfying decoration to your site, but they only add extra data that has to be loaded. If you find your site is taking longer to load, non-essential images like these could be to blame. You have to balance images that add obvious visual appeal with those that don’t. How Do Online Reviews Impact Your SEO Campaign? Your reputation matters. If you keep letting your customers down, they’re pretty unlikely to keep buying from you — and they might even let other people know just how unreliable you are too. And they have plenty of ways to do that, including online review sites and social media. But how do online reviews affect your SEO campaign? Sharing your experience of a company’s service takes just a minute or two, but can influence other customers’ decisions for years to come. Businesses actually lose $75 billion a year to bad customer service, and negative reviews can pile up easily. Still, not every customer will give you a bad review — unless you’re doing something seriously wrong! Good reviews help to build trust in consumers and increase the likelihood of netting conversions. A recommendation on a reputable review site could give a prospect the information they need to go through with a purchase, especially when they’re close to that part of their journey. Both good and bad reviews generate fresh content for your brand. Search engines will have more content to read and index related to your site, helping refine its understanding of your company. If customers talk about your products or services explicitly, they’re actually helping to connect these to your brand name too. Reviewers can help your SEO campaign a little by doing this, without even realizing! 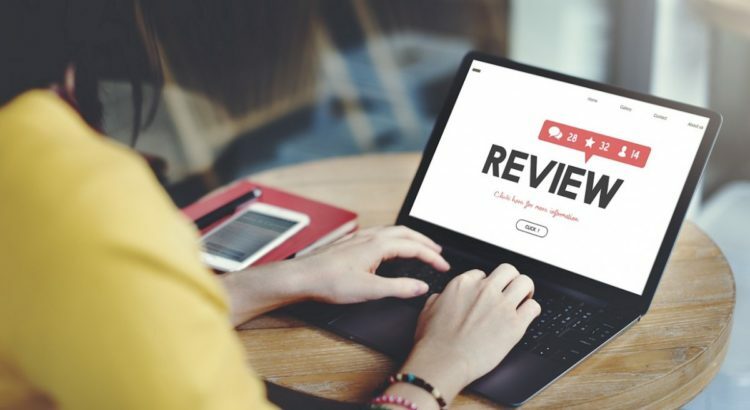 Adding customer reviews to your site means a regular influx of new content, while people leaving links in off-site reviews is another key benefit. Always respond to online reviews, even if only to say ‘thank you’. Engaging with customers’ feedback and addressing any concerns they raise shows you actually value their opinion. People want to see that you discuss issues buyers bring up and don’t shy away from claiming responsibility for mistakes. Your response to a bad review can win favor with prospects, demonstrating your brand’s commitment to your customers. They could still click through to your site and go ahead with a purchase based on your intelligent comments. Make sure you encourage reviews too, across your website and social media. The more mentions of your business that are generated, the better your visibility will be. Google My Business listings give customers contact details and a star-based rating for your brand, according to people’s reviews. This will appear on Google Maps and result pages, helping your organic rankings along with reviews elsewhere. 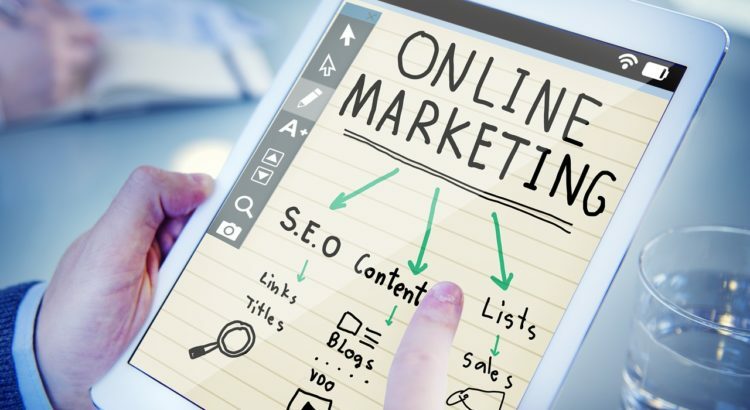 Nett Solutions’ Orange County digital marketing experts are here to help boost your online presence with a bespoke SEO campaign — want to know more? Get in touch! Driving more traffic to your website isn’t easy. You’re just one of thousands of businesses competing in the digital marketplace, and building your brand into a strong contender for people’s money takes a lot of hard work. There are certain steps you can take to drive more traffic to your website and increase your conversion rates. Join our Orange County digital marketing team as we explore your options! Good, valuable, informative, shareable content is crucial. You have to identify what your target audience is and make sure you’re crafting content that speaks to them. You have to keep publishing fresh content regularly too, at least twice a week. Whether this is blogs, articles, guides or videos, keep it coming. After all, companies publishing a blog have 97 percent more inbound links. You can’t afford to keep releasing new products again and again, but you have to make the most of the opportunity each launch offers. Take the time to build the release up in the weeks ahead. Create press releases, exclusive reveal videos and interviews with the designers etc. Make the new product seem like big news and prospects may just believe it is. Have you considered creating a YouTube channel for your brand? How about a podcast? Depending on the products or services you offer, one or both of these options might seem pretty unlikely. If you sell, say, cleaning products created by other companies, videos or podcasts may appear to be a stretch. However, you could still produce YouTube content offering valuable information on how best to use your goods. Creating video content helps you build your brand and engage prospects, while you can maximize your video description with a CTA and keywords. Video is predicted to account for 80 percent of the world’s traffic by next year, so you’re missing out if you don’t get on-board. If you’re in an industry that seems better suited to podcasts (such as tech), why not give it a try? Like videos, these can help you generate more brand awareness and forge stronger connections with buyers. Social media is a valuable tool to reach new customers and keep existing buyers engaged. Make an effort to share content across Facebook, Twitter etc., using striking images, hashtags (in moderation) and a CTA. Always be responsive to people’s comments or questions, or else prospects may assume you don’t care for their input. Avoid spreading yourself too thin, though. Don’t think you have to be present on every social media channel, especially not to start with. Just two will be enough in the beginning: focus on building a loyal group of followers before expanding. When these people share your content, your brand will appear on the feeds of users who may not see it otherwise. Nett Solutions’ Orange County digital marketing specialists can help drive more traffic to your website and build your online presence. Want to know more about what we can do? Just get in touch! 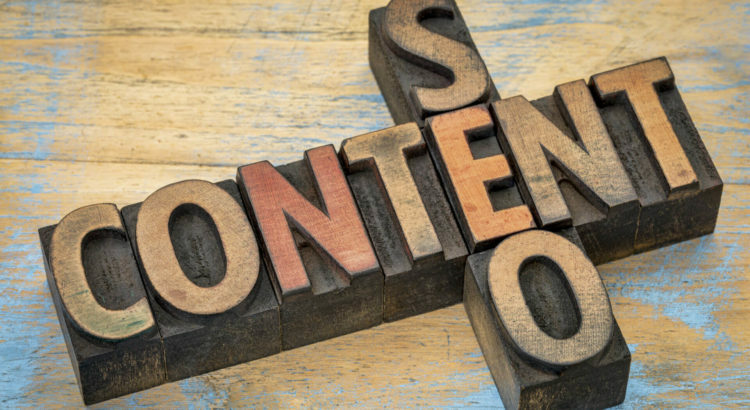 Getting your content right is vital to maintain a solid online presence. Blogs, articles, press releases and more can all contribute to building your brand’s visibility. But if you’re cutting corners or failing to make the most of your content, you could be missing out. 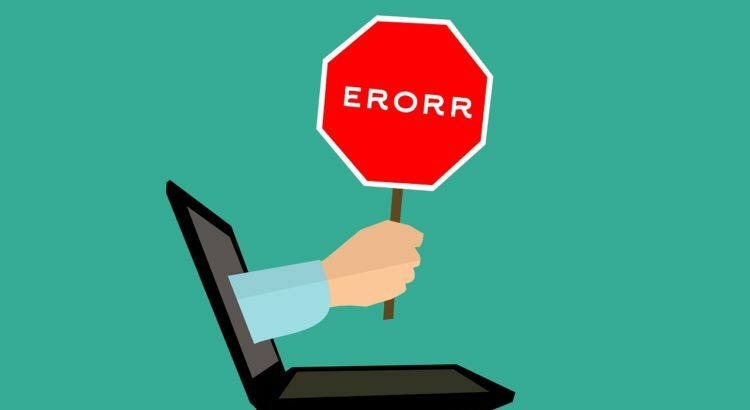 Below, we take a look at the SEO mistakes to avoid when writing your content. Don’t stuff your content with keywords. It’s an outdated technique businesses used years ago to propel themselves higher up the SERPs. No company in your niche worth its salt is resorting to this anymore: you won’t fool customers and you certainly won’t fool Google. This can make trying to read content incredibly difficult, as you’re constantly seeing the same phrases or terms again and again. Google can penalize your site if you stuff your content with keywords. Focus on using relevant terms and phrases in as organic a way as possible. Google and consumers want content that reads well, offers value and is engaging. One big SEO mistake you can make with your content is … well, not writing any at all! Putting well-written content together isn’t always easy, especially when you’re busy running your business. It can take time, especially when you’re putting the About Us, FAQ, Company History, and other key pages of your site together. Likewise, blogs are another vital addition but take consistent work. While writing the content demands time and effort, it’s well worth doing. Customers who visit your site only to find no information about your brand, your products or services may become suspicious and go elsewhere. Your content has to grab users, tell them how you solve their problem and what they need to do. Likewise, your blog gives you a constant flow of fresh content (which search engines love) and offers plenty to share on social media (driving more traffic to your site). Letting your content updates become too sporadic or dry up altogether can have a negative impact on your SEO campaign. Make sure you’re publishing regular blogs, articles, social media posts and more. The prospect of creating your own videos to boost your SEO can be difficult. Your videos don’t have to be slick, lavish pieces. It’s just enough to be informative, engaging and friendly. 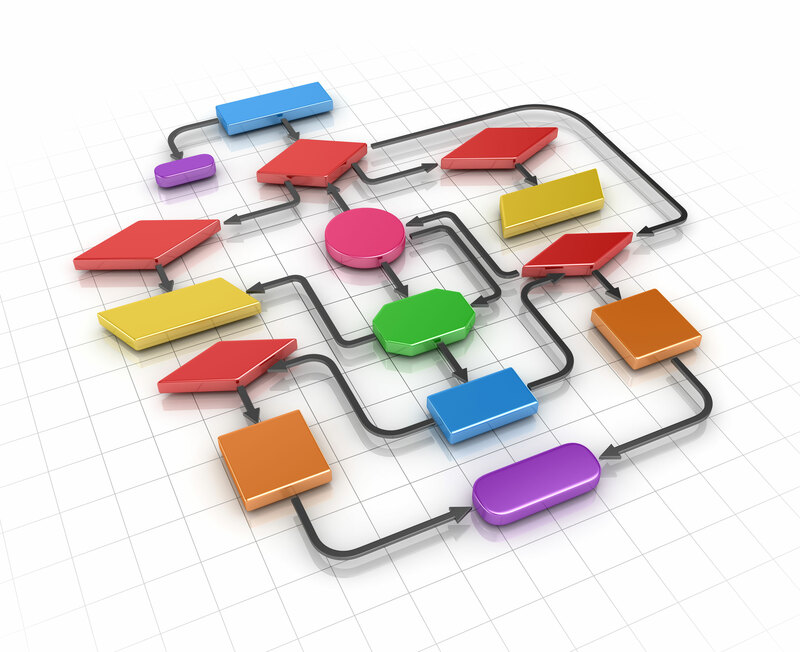 Create introductions for your products or services. Take viewers on a tour of your offices or labs. Webinars and Q&As are terrific video concepts too. Experiment with your video content and share them across social media. Video can bring more traffic to your site and help to build a stronger bond with customers. Avoid SEO mistakes by hiring the professionals! At Nett Solutions, our Orange County digital marketing team will help to build your business’s online visibility through high-quality content that hooks your customers. What are Google’s New Responsive Search Ads? Google has announced a new ad product based on machine learning, which adapts to users’ search queries for more accurate results. In these new responsive search ads, businesses can provide up to 15 headlines and four lines of description. Once these are submitted, Google will perform tests to learn which ads offer the strongest performance for different queries. Google claims that incorporating machine learning into testing multiple combinations has the power to increase an ad’s clicks by as much as 15 percent. However, the new responsive search ads do more than this: they open the door for advertisers to take part in additional auctions and provide matches for more searches. As a result, companies using Google AdWords will be able to reach a wider audience. Advertisers will have a little more space to play with, as descriptions can contain as many as 90 characters rather than just 80. Each responsive search ad may display up to three different headlines instead of only two. Two descriptions can also appear. This is a fantastic addition to the Google AdWords platform. Businesses of all sizes and across all industries will benefit from experimenting with Google’s new responsive search ads. With additional space for your description fields and as many as 15 headlines, your PPC ad copy gives Google plenty of potential combinations to try. After all, the aim of PPC is to help advertisers reach potential buyers through the most relevant, engaging ads. The new responsive search ads should help companies to match more queries, increasing your chances to boost conversions. Google’s responsive search ads are in beta at present and being provided to a limited group of AdWords clients. Being able to essentially let Google’s machine learning to test multiple combinations and decide on the most effective takes some of the strain off. A/B testing is an essential part of cultivating a successful PPC campaign, but now Google will take the initiative. Of course, you still have to put real effort and consideration into creating the various headlines and descriptions you submit. The stronger the ideas you provide to Google, the better the combinations are likely to be. It is vital to spend time looking into the best keywords, headlines and tone to grab your target audience. Keep in mind that Google’s responsive search ads can only work with what you deliver. This is another exciting step in Google’s ongoing advances in online advertising. We look forward to seeing where they go next. Are you looking to launch your own PPC campaign, or get better results with your current one? Give our Orange County digital marketing agency a call to learn more! 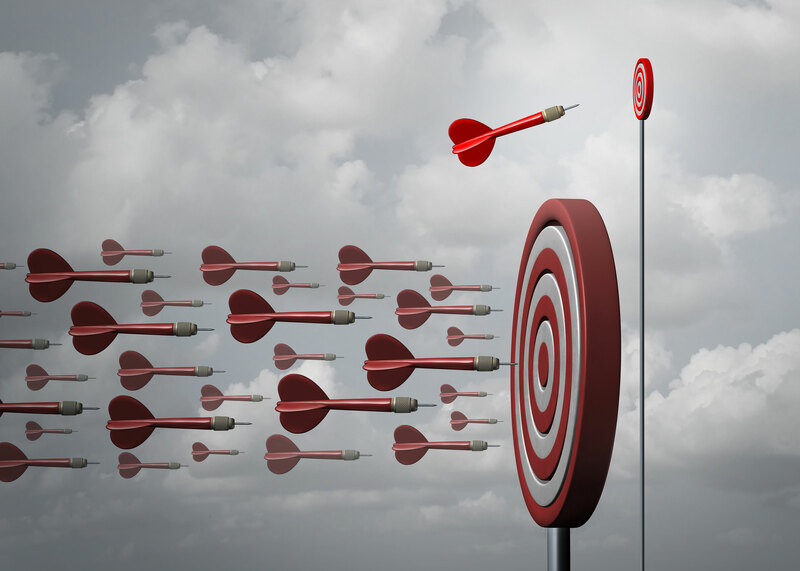 Are you operating in a niche market? If you are, then you’ll know marketing a smaller company can be incredibly difficult. However, an effective, well-structured SEO campaign can help you promote your company properly and grow your customer base significantly. If you’re looking to expand your niche business’s reach in an organic way, read on for some top SEO tips. You need to make engaging your customers and prospects a priority from day one. Your digital marketing campaign should include social media marketing (SMM), incorporating both paid ads and regular posts. Make a real effort to engage users, whether they’re current followers or not. Visual content is critical to grab attention on social media, so use images and videos throughout your posts. The more eye-catching and clear to understand your marketing materials are, the more likely people are to share them. Brand posts with images have been shown to achieve more interactions than those without. Never bombard users with a slew of promotional posts. Focus on captivating rather than selling, selling, selling. Visual content is obviously just as important on your website. Keep your text brief and to the point, but make sure your blogs, product pages, and more are rich with visuals too. Short videos introducing your brand and your team can convey background information in a much more accessible way than expecting a visitor to read blocks of text. Even in niche businesses, you’ll face some competition. Unless you’ve created a product or service that nobody else on the planet has, you should be able to research what rival companies are doing to expand their reach. What are they doing on social media? How are their blog posts distributed and what traction do they get? Take the time to look at the competition ahead of you and behind you. See what to do and what not to do in your own SEO campaign. One particularly effective SEO technique for niche businesses is to make connections with useful websites. For example, if your business specializes in creating accessories for games consoles, consider trying to forge links with a high-profile blog focused on games. Can you get them to review some of your products, whether this is in blog posts or videos on YouTube? Are you able to make an impact with their audience? However, only choose blogs or sites that aren’t in direct competition with you or already linked to other rivals of yours. Do your research first. At Nett Solutions, our Orange County SEO team can help your niche business expand your reach and build a bigger reputation. Give us a call to discuss your options now! 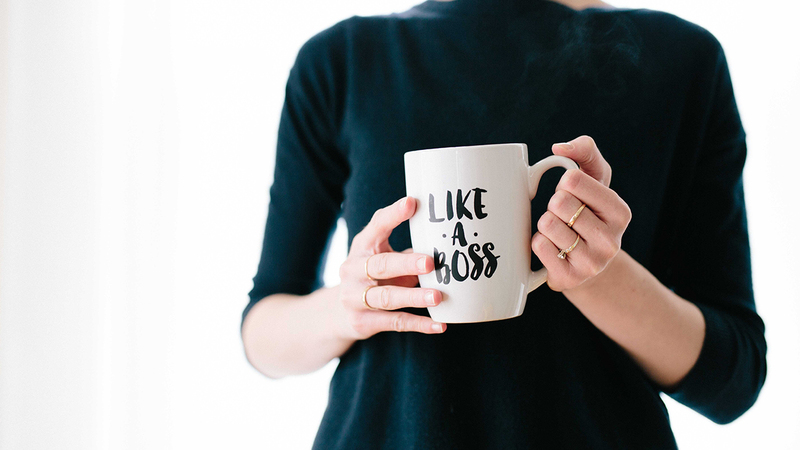 While some larger brands can rely on the power of a good reputation and repeat custom for ongoing success, SMEs have to work hard to establish an audience. A well-planned SEO campaign plays a critical role in increasing your visibility and building authority, but organic search can be daunting to newcomers. How do you know which techniques are most effective for growing your brand? Below, you’ll find five pro SEO tips for SMEs to help you reach a bigger, wider audience online. Content is one of Google’s key ranking factors, and it’s vital to make it the best you can. Avoid temptation to stuff keywords into every paragraph on every page: Google will penalize any website trying to use such outdated, underhand tactics. Long-form content tends to rank better than shorter pieces, but the value it offers readers is paramount. You need to provide visitors with helpful, relevant information every time. It’s okay to go into detail on subjects, rather than feeling you need to rush everything to suit today’s busy lifestyles. HTTPS is another ranking signal for Google, and has been for a few years now. HTTPS is used by a staggering 81 of the top 100 websites, and businesses that avoid upgrading to HTTPS may see a negative result soon. Why?Because all HTTP websites will be labeled as ‘not secure’ in Google Chrome as of July 2018. Potential customers may view your HTTP site as being a security risk in the very near future. All SMEs should make an effort to upgrade as soon as possible. Not so long ago, companies could buy dozens or hundreds of links to their website to boost traffic. It was a case of quantity over qualify. This has all changed now. Google and other search engines want to see high-quality links rather than those with little relevancy. Concentrate on building solid backlinks from quality content, and choose popular websites that have similar themes or topics to your own. Google’s mobile-first indexing means the search engine crawls the mobile version of your website primarily, rather than the desktop site. This makes perfect sense, given that more and more of us are searching on our smartphones and tablets. Any SME that fails to establish a mobile-friendly website is putting itself at a big disadvantage. UX (user experience) is essential in any good SEO campaign. You want to make sure your website gives users everything they need to maximize your chances of conversions. Focusing on the best UX you can achieve ensures your website is more accessible to visitors and search engines. Great navigation, solid CTAs, fast page speeds, quality content, and good link structure all contribute to outstanding UX. At Nett Solutions, we can create a bespoke SEO campaign for your SME. Want to learn more? Just give our Orange County SEO team a call now! 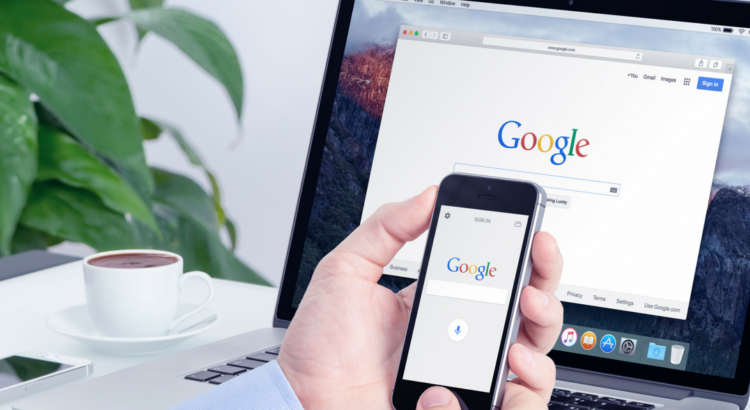 Google’s mobile-first indexing has been a long time coming, but is now underway. Websites which offer users a stronger mobile-browsing experience will be more likely to secure higher spots in SERPs. Every business’s website has to be optimized for high-performance on smartphones and tablets, but how? Here are 7 ways to get started. We all know the frustration of staring at our phone, waiting for a page to load. Research shows 53 percent of searchers will leave a mobile site with load times above three seconds. Mobile devices tend to have slower load times than desktops, so make sure you focus on getting yours as low as possible. Reduce the size of all images, cut unnecessary content, and consider using AMP instead. All text on your mobile site has to be easy to read straight away. Users shouldn’t have to zoom in to make sense of your content, nor should they have to turn their device to landscape mode to fit it all on the screen. Convenience is key. Any hassle will only frustrate users when all they want is to read what you have to say. Are your images failing to load on the mobile site? Do you expect prospects to wait 30 seconds to actually see a picture? Using outdated or incompatible files will make a huge impact on your users’ ability to enjoy your website. The simplest way to check this is to access your site from a smartphone, and take note of those elements that don’t work as they should. Address them as soon as possible to benefit from Google’s mobile-first indexing. Interacting with desktop sites and mobile sites is very different. In the former, you have a mouse for precise clicking, which means buttons and links can be smaller. In the latter, though, you have to make interactive elements big enough for fingers to touch. Sites with buttons and links that are too small can end up directing users to the wrong pages, making accidental purchases, and more. Test your mobile site’s interactivity regularly. Trying to scroll along a mobile website that bombards you with pop-up ads or automatic videos can be unbearable. Yes, you need pop-ups to generate leads and revenue, but try to keep them to a minimum. Too many will only slow your load times and chase users away. User experience is critical. Your prospects should be able to navigate your site, jump from one page to another, make purchases, access information, and communicate with your business with ease. Browse your mobile site with your users in mind. Can you see the different pages available? Is it simple to interact with? If not, make some changes! Avoid using Flash video on your mobile site, as it might not work on most mobile devices. HTML5 is the must-have today, to ensure smooth performance and widespread compatibility. If you have Flash videos on your site, you could be risking your ranking in Google’s mobile-first indexing. Want help getting your mobile site the best it can be? Nett Solutions is an Orange County digital marketing agency with years of experience helping businesses just like yours achieve their goals!